In the beginning you wrote a lot of transformation codes, then you starting leading BI projects where you managed other coders. Before long you became the local and then the local lead. You burned the midnight oil and then through weekends. Then suddenly you became the global Information Manager or better still the CIO. Now it is time to change your hat, to stop looking at the trees, leave aside clipping leaves even though the tendency to prove your skill passes your table on almost a daily basis. Now the biggest mistake you can make is to stop managing or become tactical. It is now time to be strategic but first you have to understand what strategic means. There is a part of your that does not allow you to think strategic because all the folks you had met selling strategy were quite irrelevant and basically to your mindset a bunch of ‘high flung dung’ types who basically were slackers. If these thoughts cross your mind it may be consoling to know you are not alone. So far your skills have been honed to deal with what lies right in front of you, i.e. dealing with what seems urgent and critical right now, often with an illusion that unless your solve it right now the world around will fall apart. While you are busy stepping around Severity 1 potholes, you’ll be flying past bonanza opportunities, and little time to look out through the long term windshield and miss all the signals that you’re on the road leading towards a very vertical cliff. The temptation will remain extremely strong but by following your instincts you put your company and yourself at great risk. Make no mistake, managing large BI projects is a very tough job, about that and there is an inherent failure probability of over 50%. If they are global BI projects then the stakes and complexities get ever higher. One of the main reasons this job is so tough is that no one really understands what it takes. If you go and pick a book on business intelligence it will probably deal with how to build a cube or the EDW architecture, and be out of date by the time you start to read it. First thing is that it is hard to be a strategic BI leader if you don’t know what strategic BI leaders are supposed to do. Secondly its had to be strategic if you don’t know what your strategic checklist if for global business intelligence endeavors. b) Build a ‘Global Enterprise BI Cookbook’ as your foundation of rules and regulations and the referential methodology for all development done in any of your BI environments. a) Start each issue resolution with a strategic solution, replacing constant ‘fire-fighting’ with strategic ‘fire prevention’ goals. Identify resources who may get their daily adrenal rush, and feeling of importance, from being in a constant state of Sevrity-1 solutioning. b) Reframe your analysis to get the strategic requirements and gains with each task and investment. Uncertainty is most unsettling. Without a strategic roadmap the temptation to reach for a fast, and potentially a wrong, solution is imminent. A good strategic leader thinks long-term and does not get distracted by seemingly critical tactical issues. Do not fall prey to “Predictive Freeze” when faced with a multitude of tactical crisis. d) Remember ‘Excellence is the enemy of good’. Try to remain one step ahead of competition and not get side-tracked by glorious visions of perceived value. Get ready to be the strategic leader? Finally to pull off your strategic excellence you must decide who wears the pants in your BI Projects. Trust neutral recommendations of including business stakeholders, i.e. 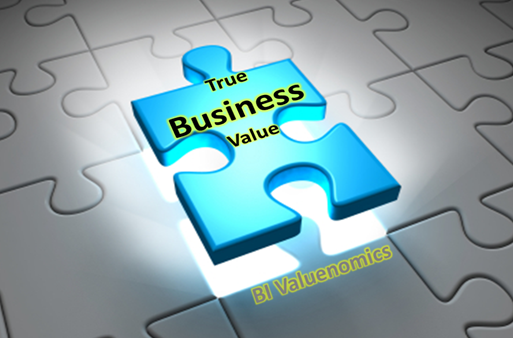 ‘Without business in business intelligence, BI is dead” Gartner. At the base of strategic thinking is the pursuit for excellence by avoiding the pitfalls of mistakes or defects. Traditional definitions do not explain the cause and effect of a soccer ball glancing the goalpost and random chance effects. Thus goals scored should not define strategies but the scientific methodology of proven processes based on empirical standards and deep analysis. For a strategic thinker “a defect is any decision, an action or judgment that is less than optimal, given what was possible from knowable facts at that point of time”. Understand what drives the values of your partners, other stakeholder’s agendas - assuming that most remain hidden, also remember that as companies grow so does politics, and honest feedback becomes correspondingly rare. Encourage both convergent and divergent opinions on the table. Build your risk register and follow each risk with a mitigation plan. In meetings shift discussions if you think they are getting off track or melding into personal agendas. Reward success and review failures and realign your ‘Global BI Cookbook’ processes accordingly.